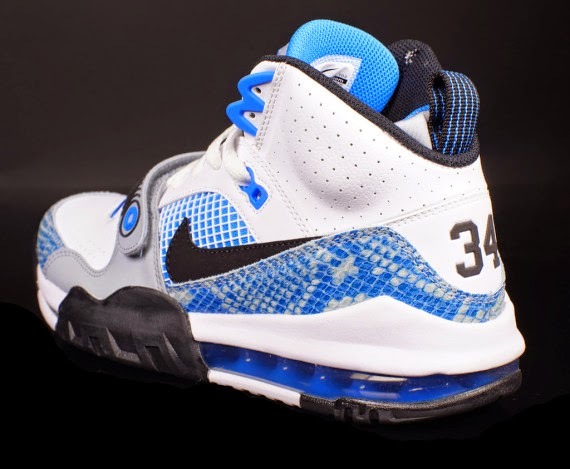 The Real Dwayne Allen.com: Nike Air Max Bo Jax "Blue Snakeskin"
The Nike Air Max Bo Jax doesn’t seem to be at all interested in subtle colorways. 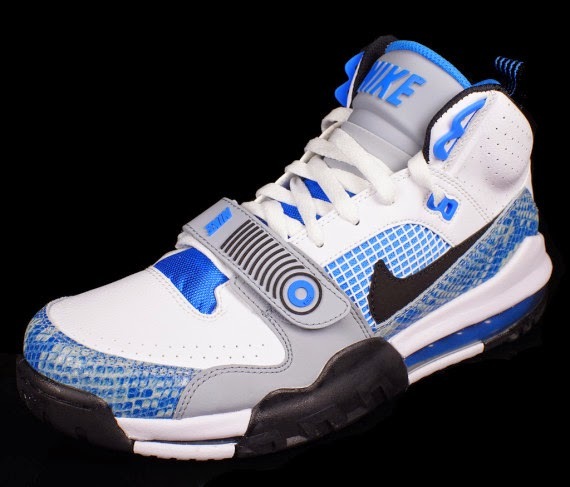 Following up on the rather “South Beach” looking debut for the shoes is this pair, which gives it an upgrade on the material side with some photo blue snakeskin. 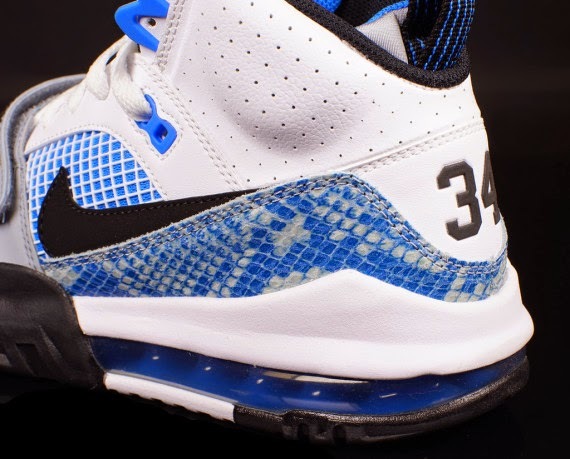 They accidentally end up emitting some Air Jordan 4 flavor thanks to the white and blue combination that shows up for the mesh paneling across the side. 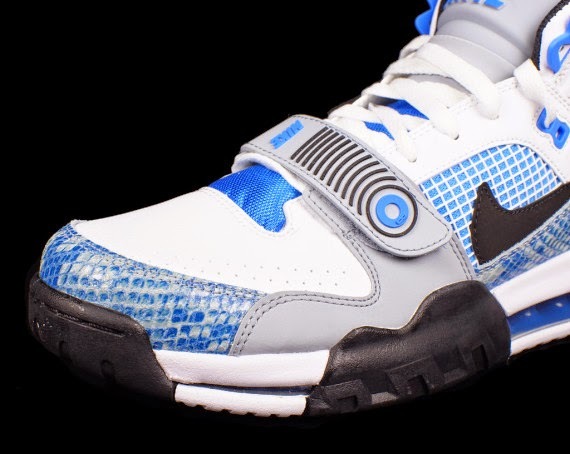 Continue reading for more on this new pair of Air Max Bo Jackson sneakers and watch for them to release at Oneness on August 1st.